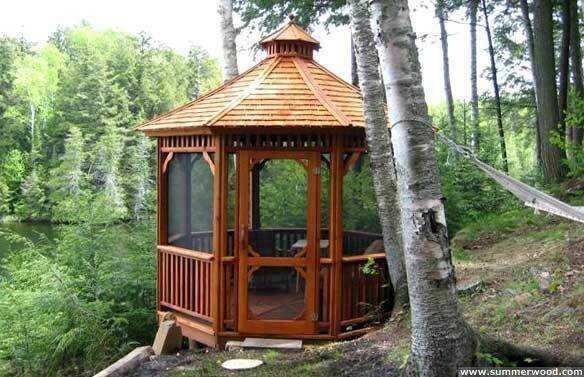 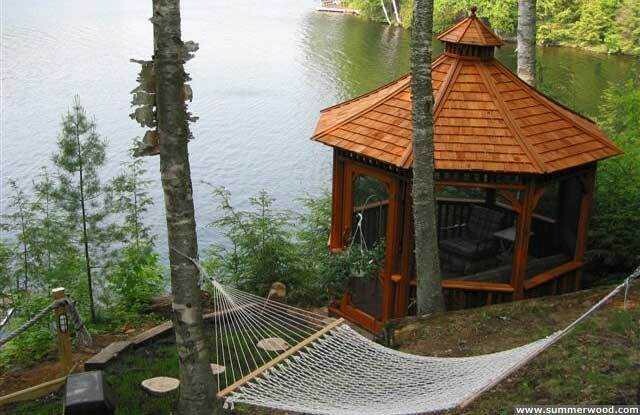 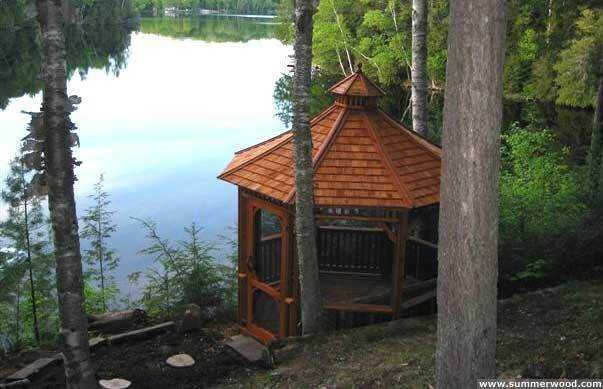 This 10' Monterey gazebo is picture perfect. 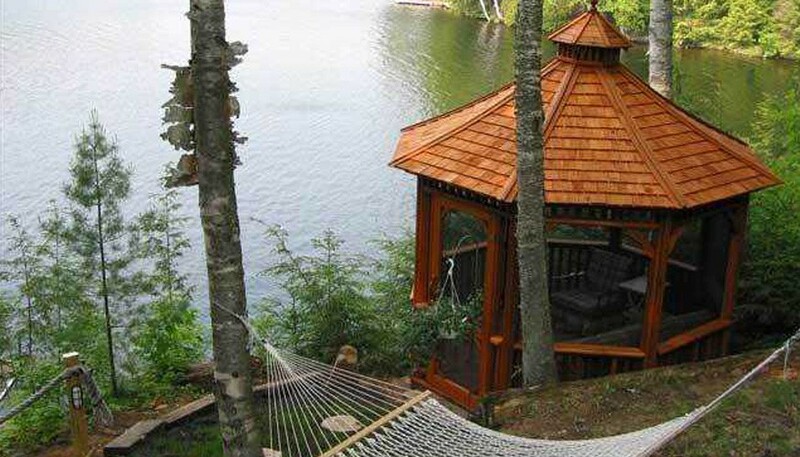 It makes for a great spot to relax after a nap in the hammock or swim in the lake. 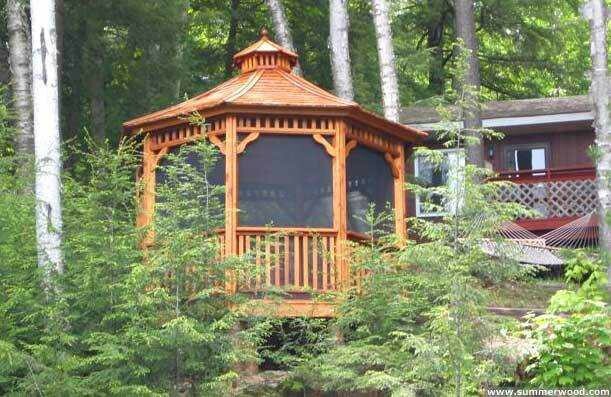 These customers know how to live! 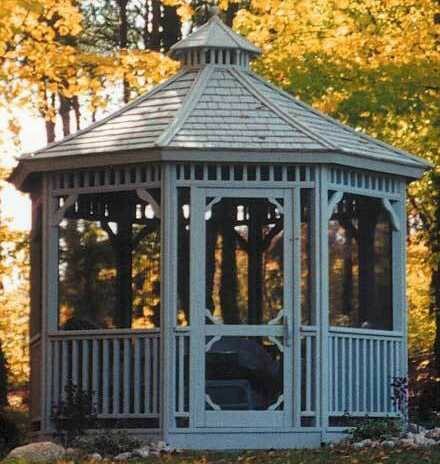 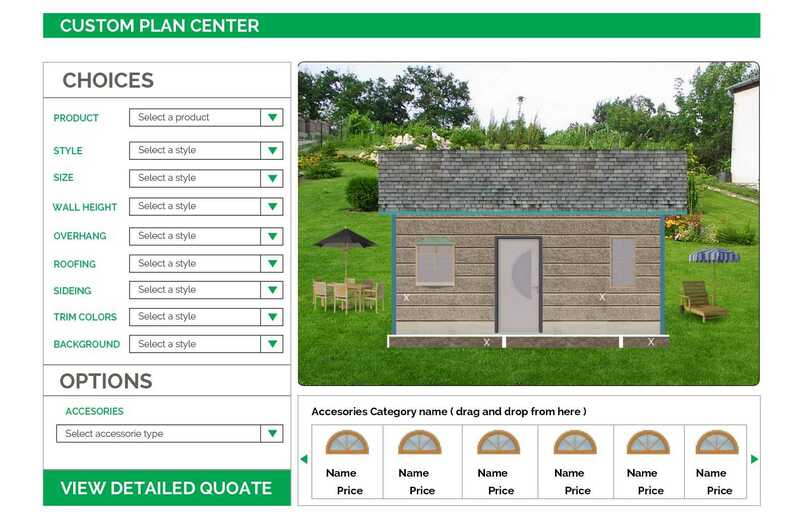 Our Classic screenkit accents any gazebo beautifully.